We had been talking about doing another Houston trip for several years and decided to include San Antonio because it is such a charming small city. We were so surprised by the amount of interest in this trip that we decided to run two buses instead of just one. We had a total of 68 travelers on this trip and it was quite an adventure. The planning was the most difficult part as we had to have two different itineraries for each day so the buses were not in the same place at the same time, overwhelming the shops. 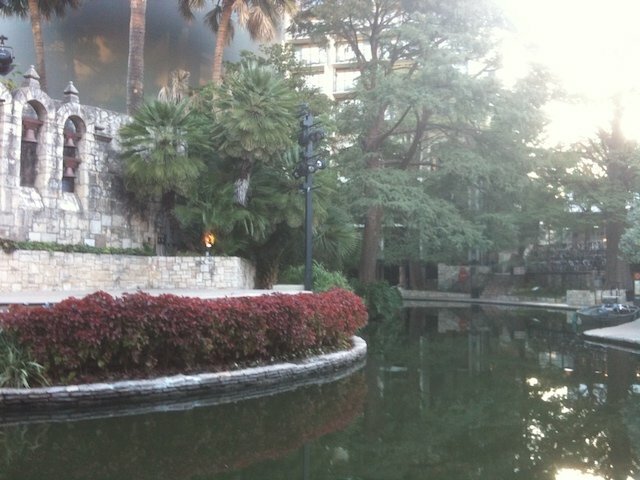 We flew into San Antonio on Sunday, Oct 30 and checked into our hotel, the Drury Plaza, right on the River Walk. Our first adventure was the River Cruise with entertaining narratives of the rich history of the San Antonio River. Afterwards, there were lots of restaurants on the River Walk to choose from for dinner that evening. The next day was Halloween and we had trick or treat bags for our travelers on the buses. (Mostly treats!) We visited two quilt shops, Memories by the Yard and Seventh Heaven, then had lunch at the famous Guenther House, the elegant home built in 1860 by the founders of Pioneer Flour Mills. 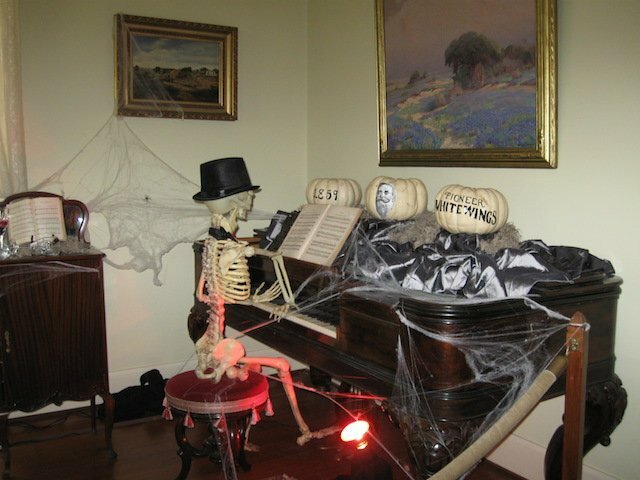 Our next visit was the Steves Homestead Victorian Mansion. Of course, we had to visit the Alamo!! That evening we had dinner at Rita’s on the River and a special show, San Antonio Rose Live, at the historic Aztec Theater. Tuesday morning we headed for one of the best quilt shops in the US, Creations in Kerrville. We can’t even begin to describe this wonderful shop, but we did have to drag our travelers out of there - kicking and screaming all the way to the bus! 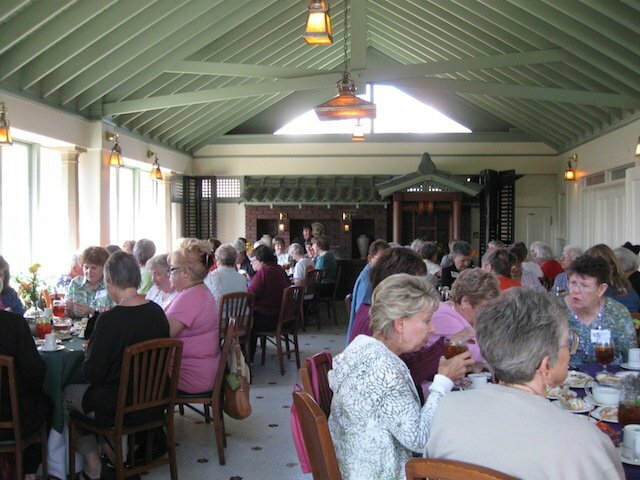 Everyone had some time to visit Fredericksburg for shopping and lunch. Fredericksburg is a very charming town with lots of wonderful stores. 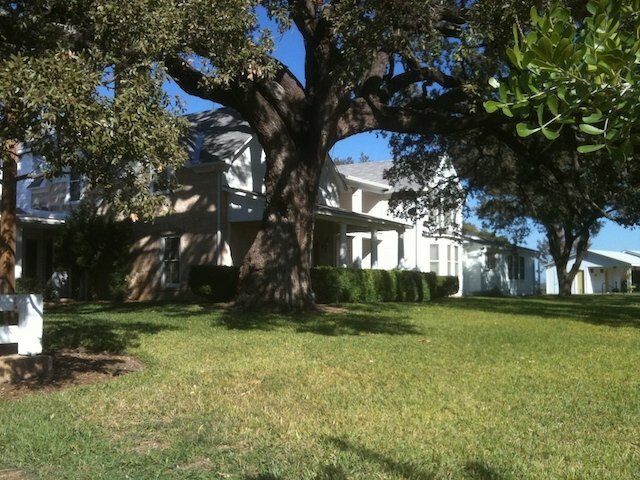 Our next stop was the LBJ Ranch where we toured the Texas White House. 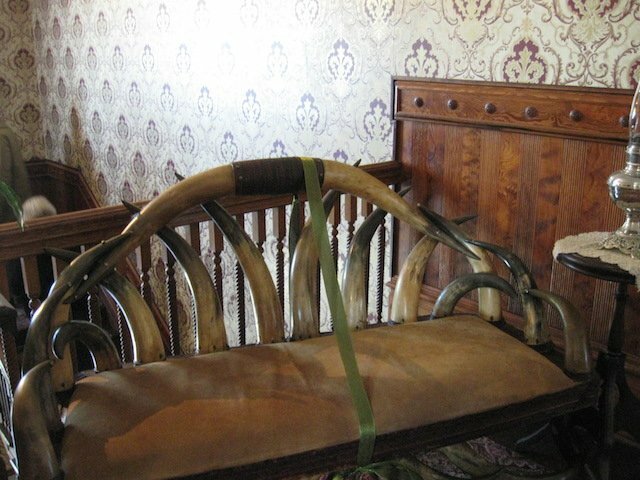 Rooms on the tour included the President's Office, living room, dining room, and the Johnsons' bedroom suites. 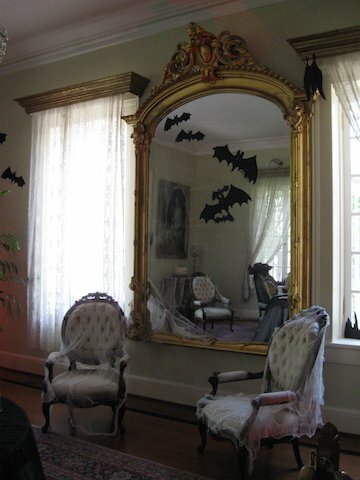 The majority of rooms have been restored to their appearance during the presidential years (1963-1968) while the bedroom suites retain their appearance at the time of President and Mrs. Johnson's deaths. After the ranch, we traveled to Austin and stayed at the Radisson. The biggest adventure there was when one of our buses was heavily damaged by a drunk driver in the middle of the night! Imagine our surprise when a different bus pulled up in the front of the hotel the next morning to pick up our group! Our first stop of the day was the Quilt Store in Austin. Then we went to La Grange where we visited the brand new Texas Quilt Museum, housed in an historic 1895 building on the town square. 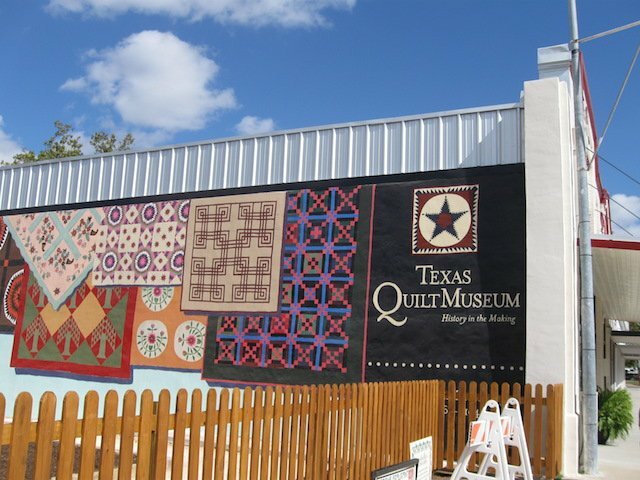 This museum was the dream of Karey Patterson Bresenhan and Nancy O’Bryant Puentes (president and executive vice president of Quilts, Inc.- the parent organization for the International Quilt Festivals) for many years and opened just a couple of days before our visit. 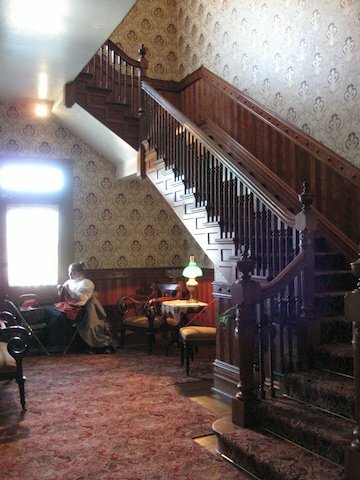 It is housed in two historic 1890s buildings, which provide a fine showcase for both antique and contemporary quilt art with their high ceilings, brick walls, and original hardwood floors. Another quilt shop visit at the Quilt N Sew in Katy, then dinner at one of our traditional stops - the Cracker Barrel!! We arrived in Houston that evening, staying at the Hyatt Regency. Thursday was quilt show day. 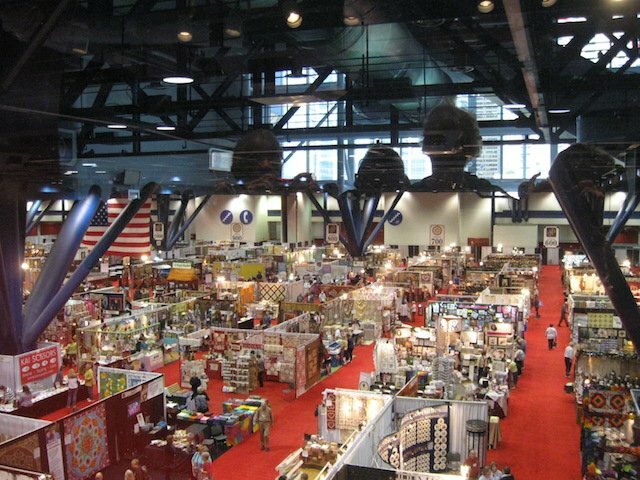 With more than 500 vendors and 1500 quilts, the International Quilt Show attracts nearly 50,000 visitors from around the globe. It is truly the “Mecca” of quilt shows and our travelers loved it. Friday was spent visiting two great shops, The Painted Pony and Quilters Cottage. We also visited the George Ranch Historical Park on the outskirts of Houston. This park is a 23,000-acre working ranch in addition to its beautiful and historic buildings. Costumed presenters told us about the ranch, from the 1830s Jones Stock Farm through the 1960s Ryon Prairie Home and the 1890s Davis Victorian Mansion with its sharecropper farm and working blacksmith shop. 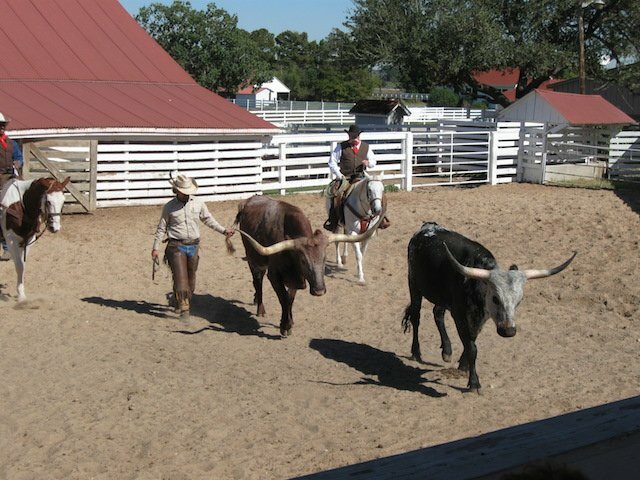 We had a delicious Texas BBQ lunch at the ranch and watched roping and riding and all that cowboy stuff! 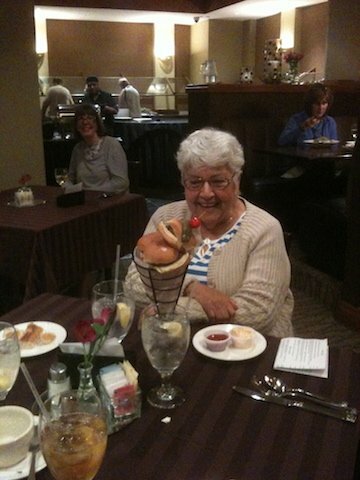 (Lynn was in seventh heaven!) 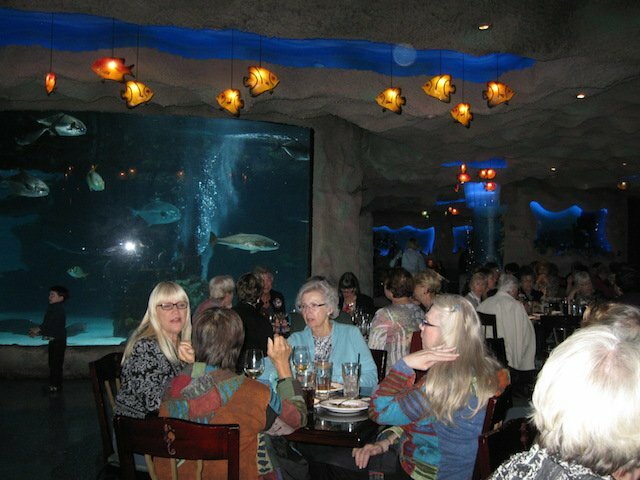 Friday night was our farewell dinner at the Houston Aquarium. 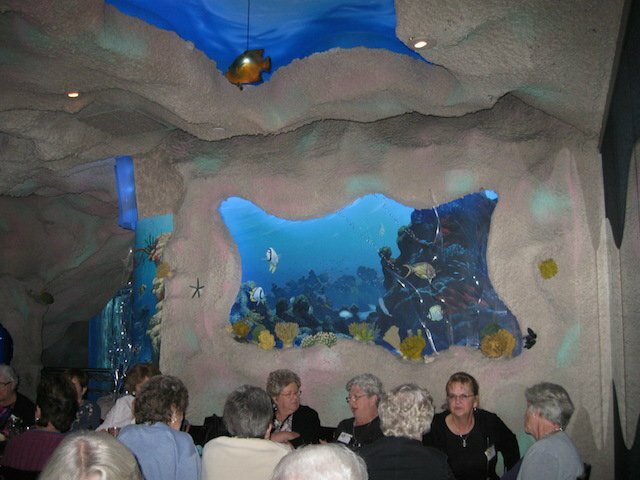 The tables were seated around a 150,000 gallon tank with excellent views of reticulated rays, majestic sawfish, shovel-nosed guitarfish and other fascinating creatures that swam right by our tables. That was a lot of fun and very different! We headed home Saturday ………. exhausted and broke, but ready for another adventure!